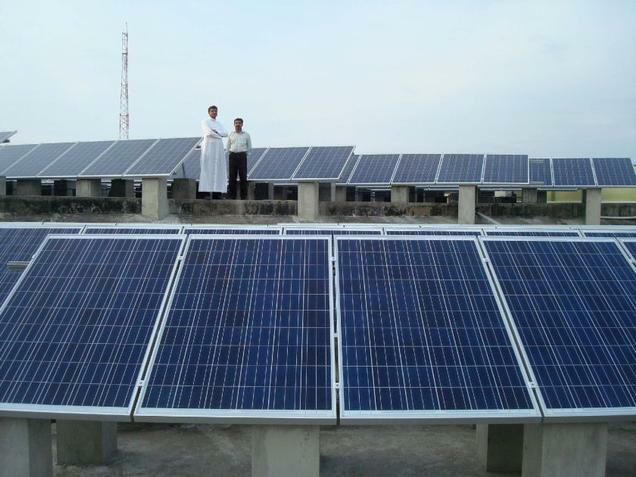 Essgi INFOTECH Undertakes Solar Power Plants Projects! Essgi Infotech undertakes solar power plants on-grid ( Grid tied), off-grid and hybrid powerplant projects at economical prices with high quality products. Advantages of Solar Power Plants & Karnataka Govt. Initiative ! Are you tired of paying Energy Company month after month for electricity? Are you tired of the constant rate hikes and surcharges on your Electricity bill? Why not add a solar energy system to your home and start producing your own electricity! Karnataka Government Provides an opportunity to its Electricity Consumers to Install Grid connected solar rooftop System. As per the Solar policy 2014-21 of Govt. of Karnataka, All ESCOMs in Karnataka has implemented the programme for installation of Grid connected Solar Rooftop PV system on the Rooftops of Residential/Commercial/Educational/Industrial Organizations in Karnataka to encourage generation of Solar Energy. In fact anybody in Karnataka who takes energy from respective ESCOM is eligible under this scheme. Capacity limit is from 1KWp to 1000 KWp. There is no upper limit for generation a roof top applicant with an Installed Capacity of 1KW can generate up to 1MWp. 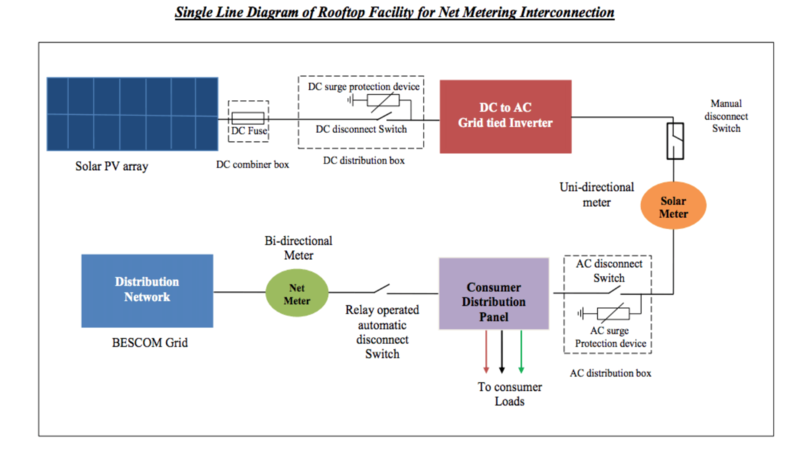 Net Metering: Net Metering allows the Solar Project Owner to feed the excess Solar Power to grid when the load available is low, say, during weekends in office buildings. The excess power fed is offset against the electricity used from the grid in the electricity bill. Accelerated Depreciation: Accelerated depreciation of 80% is available under the Income Tax act for the Commercial and Industrial rooftop solar PV systems. This can provide significant savings to a SRTPV power plant generator who is a taxable assesse and has sufficient profits against which the depreciation can be charged. Section 32: of Indian Income Tax Act. Provides Accelerated Depreciation Of 80% of the Invested Capital in To Solar PV Projects to Professional Companies with Tax Liability. Investors Can Set off Their Tax Liability on the Taxable Income to the tune of 80% in the 1st Year and subsequently 20% in the 2nd Year. Section 80-IA (sub section 4) of income tax Act, 1961 allows 100% tax waiver on the income generated for any single 10 year period during first 15 years of operational life of a power generation project. We @ Essgi, belive is in renewable energy and setup live demo plant @ our office to enable our prospective customer's to understand the concept of green energy. 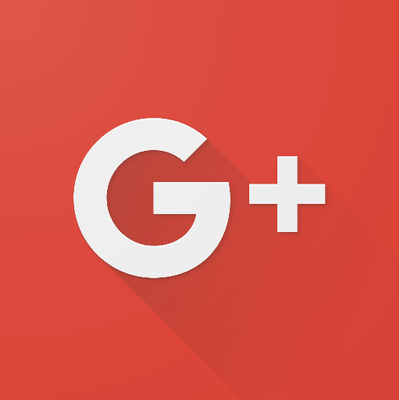 If you wish to have have demo when you plan to buy one, kindly get in touch with us.